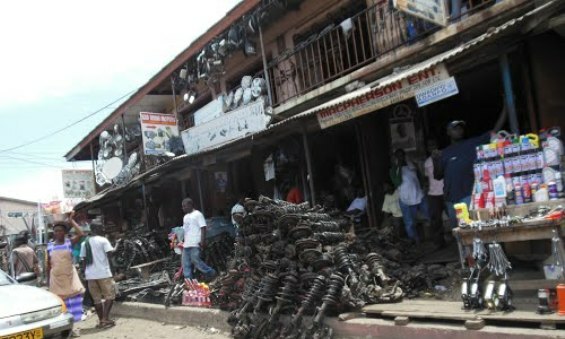 DEALERS in spare parts have said they have not seen any significant change in their businesses regarding the implementation of the one per cent tax exemption which was announced in the 2017 budget. This tax is part of 11 nuisance taxes introduced by the previous administration. They include special import levy, a 17.5 per cent VAT/NHIL on financial services, 17.5 per cent VAT/NHIL on selected imported medicines that were not produced locally, import duties of raw materials and machinery for production within the context of the ECOWAS Common External Tariff (CET) Protocol, a 17.5 per cent VAT/NHIL on domestic airline tickets among others, introduced in a bid to increase revenue for the country. The Spare Parts Dealers Association (SPDA) in the nation’s capital at Abossey Okai met the abolishment of the tax, when announced, with much approval and fanfare. However, some months after its implementation, businesses still had not seen any major improvement. The President of SPDA, Mr Joseph Paddy Tetteh, in an interview with GRAPHIC BUSINESS, said the initial expectation of spare part dealers had not been met since prices of imported parts still stood at the same prices they were before the tax exemption. According to him, dealers were expected to benefit from the tax cuts through the reduction of import duties paid at the ports and harbours. Mr Paddy said the tax exemption implemented between August and September, this year had shown no significant improvement in their businesses. He added that due to the performance of the cedi, they incurred foreign exchange losses; hence, they were unable to reduce the prices of spare parts. According to him, the interest rates for borrowing and lending are also very high as compared to some neighbouring countries. He said banks gave loans with high interest rates with short repayment periods. That, he said, did not allow dealers to expand their capacity to compete with those in other neighbouring countries, who have low or single digit interest rates. On the 2018 budget, Mr Paddy therefore called on the finance minister to introduce measures to curb the constant depreciation of the cedi. This, he said would help the dealers buy parts at cheaper rates and in turn, price them to reflect the one per cent reduction of the taxes paid on them.